Ben Lees explores the findings of the new report published by the Nuffield Council of Bioethics, relating to the significant concerns surrounding the UK cosmetic surgery market. A new report from the Nuffield Council of Bioethics focusing on the ethical issues surrounding the cosmetic surgery industry highlights the significant concerns that surround the UK cosmetic surgery market. “We’ve got largely an unregulated industry that’s exploiting people including children by promoting often untested and unproven products and procedures. We need better regulation of the quality and safety of these procedures, the people who carry them out, and where they are carried out.” – Jeanette Edwards, Professor of Social Anthropology at the University of Manchester, who chaired the enquiry. The fragmented nature of the cosmetic surgery industry, limited reporting requirements and commercial confidentiality mean that accurate information on the size and value of the cosmetic surgery market in the UK is very difficult to find in the public domain. One 2009 UK estimate was that there were about 1.2 million procedures per year, although it is likely that this number has risen significantly since then. The report particularly highlights the context in which the cosmetic surgery industry has boomed, with interest in bodily appearance being a universal social phenomenon, affecting both genders, although especially girls, of all ages. Of specific concern is the access that under 18s have to cosmetic procedures (both surgical and non-surgical). This access goes hand in hand with the rising levels of ‘body dissatisfaction’ observed amongst young people, and significantly increases the potential for harm. It is pointed out by the Council that there are legal age limits for procedures such as having tattoos or using sunbeds, yet under 18s are able to walk in off the street and have a cosmetic procedure. The report calls for a ban on non-medical invasive procedures for patients under the age of 18, and for evidence of safety and effectiveness to be required for dermal fillers and implants. There are few legal limits on who may provide cosmetic procedures. In particular, there are no controls on who may provide non-surgical procedures, and on procedures in the mouth. Needless to say, however, that the risk of injury from these procedures is still significant. Furthermore, devices and equipment marketed for non-medical purposes, such as many dermal fillers and implants, have historically been excluded from regulation within the EU. Although from 2020 they will be included within the EU, it is unclear what the situation within the UK will be. Although of course there are many positive outcomes of cosmetic procedures, including improvements to self-esteem and well-being, feeling more attractive or less self-conscious, and receiving positive comments from others, the report notes that long term data is unavailable in terms of assessing whether initial satisfaction is maintained over time. However, as with any procedure, cosmetic procedures entail a degree of physical risk. 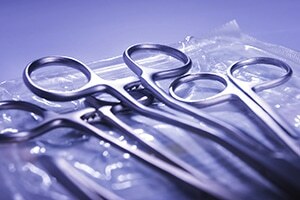 Complications can arise as a result of products used in the procedure, through poor practice or from the inherent risks associated with the procedure such as infection or bleeding and adverse reactions to general anaesthesia. Complications can range from being minor to life-changing, and there are still too many stories of patients receiving botched cosmetic surgery from unlicensed and unregulated medical practitioners. The report concluded that further work is required to ensure the more ethical practice is followed on all sides of the cosmetic surgery industry. In particular, it refers to the absence of high quality data with respect to many areas of cosmetic surgery, and the delays and failures of governments in responding to the reports that have been produced in previous years, which often cited very similar concerns. We hope that the report will ignite some long-overdue action, and that the cosmetic surgery industry will begin to operate in a more suitable and regulated manner.